When it comes to micronutrient name recognition, vitamins and minerals typically get the spotlight (think vitamin C, vitamin D, Magnesium). Less well known are antioxidants, the superstars when it comes to protection from oxidative stress and free radicals. Lipoic acid (AKA thioctic acid) is one such nutrient. This particular substance is unique in that it has antioxidant properties in both water and lipids (most antioxidants protect only one, but not the other). Its unique chemical structure makes it soluble in both, which is a physiologically important attribute. Fat-soluble nutrients protect cell membranes (which are made of fats), and water-soluble nutrients protect intracellular fluid. Another biologically important feature is its ability to regenerate (and therefore activate) other antioxidants such as vitamin C, vitamin E, glutathione, cysteine and coenzyme Q10 when they have been “used up.” It can bind to insulin receptors, and consequently enhances glucose uptake into muscles, making it useful in improving glucose tolerance in persons with Type 2 Diabetes. Lipoic Acid can also be effective in the treatment of certain diabetic complications such as peripheral neuropathy. Given its ability to protect against damage to fat-soluble cell structures (lipid peroxidation), it’s not surprising that this antioxidant may also help protect against the neuron injury often seen in Alzheimer’s patients. This powerful micronutrient’s impressive list of roles at the cellular level provides clear justification for its designation as a “supernutrient,” making it an effective therapy in a variety of conditions from cataracts to erectile dysfunction. Interested in knowing how your antioxidant levels stack up? Get tested today! Micronutrient testing can be a real asset to the practicing clinician trying to help restore basic metabolic needs of their patients. After all, nutrients power the various metabolic processes. Without their availability, metabolic function is slowed or in some cases even brought to a stand still depending on the level of the nutrient deficiency. Research has shown that over time, lack of nutrients can be lead to dysfunction and ultimately disease states. Sometimes just restoring a single nutrient deficiency can have profound impact on the health of the patient and really help turn a corner, but this is the exception rather than the rule. The true utility of SpectraCell’s micronutrient testing lies not in the analysis of individual nutrient deficiencies, but rather in the concept of observing patterns of nutrient deficiencies. This is not to say that looking at individual nutrient deficiencies is not valid, but rather is an emphasis on the idea that with pattern identification, one can better have an idea of where to focus attention. To better understand this concept, it is ideal to take a clinical scenario that may present. Let us look at dysglycemia, or blood glucose dysregulation. Those dealing with this condition are a fast growing segment of the population. Yet these individuals don’t just manifest dyslglycemia overnight. 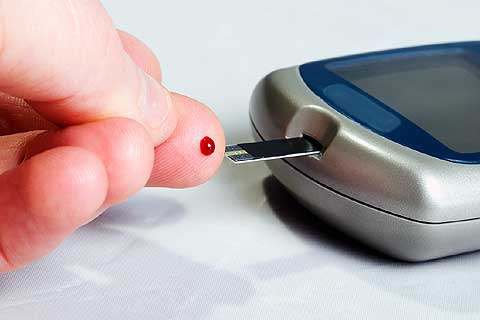 Rather they transition through a continuum that often begins with symptomatic reactive hypoglycemia, leading on to insulin resistance and ultimately diabetes if left untreated. What if you had a method to tell your patients that they were in this pattern and that by addressing some of their nutrient deficiencies, you could help delay or even prevent the onset of dysglycemia. A micronutrient test showing a nutrient pattern of nutrient deficiencies including B3, zinc, chromium, alpha lipoic acid and of course glucose-insulin interaction would suggest this very thing. This is just one example, but it illustrates the breadth of information contained in the reports of the micronutrient test. The reports provided by SpectraCell are not just a window into the intracellular health of the patient, but a tool with predictive abilities when appropriately assessed. Noting the patterns within the test moves beyond the notion of just nutrient restoration, but allows one to see systems that must be supported to regain complete health and wellness.